Technician is always personable and professional. Arrives on schedule and works his way through the house from attic to basement. No pest problems with quarterly service! Jodi was excellent in explaining his plans for keeping insects out of our building this year. He treated/will treat the perimeter of our 15000 sq ft building Mar Apr May. We are continuing monthly spraying of interior with Home Paramount. Also, we replaced and sealed trim around our windows. Jodi was friendly and easy to deal with. Our hope is to have far less bug complaints this year. Thanks Home Paramount! Scott is a master at his craft. He taught me things I didn't know about bugs, and he explained what he was going to do and why. Scott also encouraged me to call him at the first sign of bugs. I feel confident that I am finally rid of creeping pests around and in my home. Thanks, Paramount. Don. I am very pleased with the service. I appreciate the phone call telling me when they are going to arrive. For the first time I did not have a good experience with the appointment setup guy. His immediate reaction to my request for help with ants all over my kitchen flew into the face of your claim (which I have always found to be true) that your customer is your top priority (or words to that effect). If he rang the doorbell, we didn't hear. Otherwise, good service. We really like Scott and wish he could perform all of our Paramount service. Jody is a wonderful ambassador for Home Paramount. Always great customer service and does an excellent job. A pleasure to deal with. Dennis has been my pest control rep for many years. He is always pleasant and on time for my appointments! I have been a Paramount customer since 1984, and I have been pleased with the service. Dennis is a professional and I appreciate his service. Thank you. Excellent service and very easy to work with. Would always recommend the company. I am very happy with my pest control from Paramount. Dave Badertscher has given me excellent customer service and has helped me to handle my pest problem. He is always friendly and helpful. He gets to my home on time and takes care of the problem. I have had dealings with other pest control companies and I did not receive the service that I have received here. Home Paramount is the best! They know pests and how to treat them. I recommend them for your home to keep those unwanted pests out! Gentlemen were on time and efficient. However, when they were cleaning up, they left behind several "tufts" of insulation. We are very pleased with the outstanding service we have received over the years. Every employee we have dealt with have been helpful and friendly. I have recommended several people use Home Paramount because I have been pleased with the service. you do a great job and very friendly. 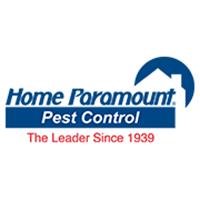 Home Paramount Pest Control met our needs in 2018. The personal touch was evident.scott, our technician did an excellent job. Great response, service, and results! Excellent customer friendly service.Plan to use your company for many years to come! 🐜 infestation was completely gone within 24 hrs of your initial visit. Thanks! The Glassers. Manakin Sabot,Va. Scott showed up on time. Very professional and explained every thing he was doing. Got rid of our yellow jackets and our ants. Very impressed with the way he did his job. Happy with technician, frequency, reliability, and value. I had a lot of junk I wanted to remove from a rental home that I wanted to sell. The cockroaches had become so bad that it forced the junk people back! I called home paramount and they David, THEIR pest tech over. After David treated the house, the junk people were able to complete the job the very next day! Great service, and on time. The tech that comes out is pleasant to deal with and thorough. Even with two dogs in and out of the house we see very few pest. We had an ant invasion and were unable to get rid of them ourselves. Now they are gone! Thanks Home Paramount!! Always friendly reliable and punctual. Wouldn’t use anyone else! I am happy with the service. Just not happy with the way I was notified of the 2% price increase after a 10 year contract! I am very pleased with me my service my technician Mike is very good at what he does. I have tried other pest control companies and paramount by far is the best. Service has been provided as agreed upon. Things greatly improved when Michael took over our home. Dennis always does a good job. Very pleased with service—long time customer. Always dependable and on time. Every one we have dealt with has been incredible. I am very happy with the service I've received. There have been several occasions where I have had to have treatments for pests like ants and carpenter bees added between the regular appointments. Those appointments were quickly scheduled and treated as seriously as the quarterly appointments at no extra charge. The service man is always professional and pleasant. I have only praise for the way I have been treated and the service I have been provided. Your technician is extremely personable, knowledgeable and accommodating. He is an excellent representative for your company and you are fortunate to have an employee of his caliber within your organization.